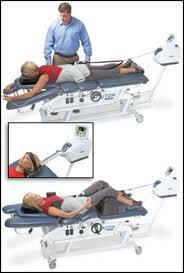 Non-Surgical Spinal Decompression provides options for Cornelius, Huntersville, and Davidson-area residents. Are you a Cornelius, Huntersville, or Davidson-area resident suffering from one or more herniated or bulging discs, spinal stenosis, degenerative disc disease, or sciatica? Are you considering pain management, physical therapy, or even dangerous and invasive surgery? Has traditional chiropractic care not been as effective as you would have hoped? Non-surgical decompression is now an effective option for you at Hoctor Chiropractic and Family Wellness Center in Cornelius, NC. Spinal decompression has an amazing success rate with the pain, numbness, burning, tingling symptoms associated with herniated and/or bulging discs... even after surgery has failed.